Neverland is home to Peter Pan, a young boy who has never grown up. 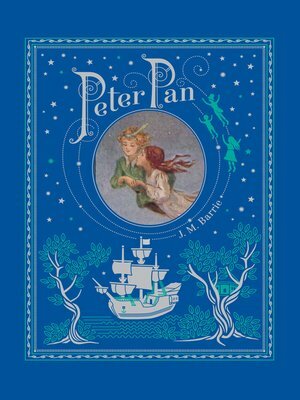 On one of his visits to London, Peter makes the acquaintance of young Wendy Darling, whom he invites to travel with him to Neverland and become the mother of his gang of Lost Boys. Flying through the night sky to Neverland, Wendy and her brothers John and Michael soon become caught up in marvelous adventures with the Indian Princess Tiger Lily, the loyal fairy Tinker Bell, and Peter's nemesis, the sinister hook-handed pirate known as Captain Hook. Spun by J.M. Barrie from his immensely popular stage play of the same name, Peter Pan is a timeless classic of children's literature. Illustrated with plates by F.D. Bedford, this exquisite full-color edition features an elegant bonded-leather binding, a ribbon bookmark, distinctive gilded edging, and decorative endpapers. It's a book that will be cherished by readers of all ages.